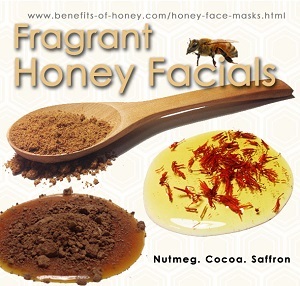 Here are three aromatic honey face masks that you can easily do it yourself from home. More than delicious, these nourishing beauty treatments will surprise you with wonderful results for your skin! This is a soothing, therapeutic remedy for acne scars. Its anti-inflammatory properties help prevent skin infection, reduce redness and swelling, accelerate the healing of scars and lighten scar marks when applied regularly over time. Use it for a clearer and smoother complexion. 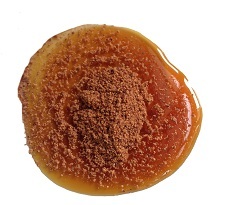 Instructions: Combine the honey and nutmeg and apply the mixture to face, especially on areas with acne. Do not rub in the mask as the nutmeg may be too rough for some skin. Leave on for 30 minutes and then rinse off. Pamper amd rejuvenate your skin with this anti-aging chocolate mask. This may look like a decadent facial to indulge in, but it's all worth it; its flavonoids and antioxidants will leave your face well-hydrated, soft and radiant. Instructions: Combine the honey and cocoa powder and apply the mixture to face and neck. Leave it on for at least 30 minutes and then rinse off. Follow this beauty regimen a few times a week for luminous, smooth and supple skin. Teeming with anti-bacterial properties, honey and saffron is helpful in improving skin tone and reducing blemishes and pigmentation. Instructions: Combine the honey and saffron and apply the mixture to face and neck. Massage skin in a circular motion. Leave it on for 30 minutes and then rinse off. 1. Real stories and testimonies by our visitors and readers on honey homemade remedies in "Honey Natural Beauty Health Tips!" 3. Controversial facial hair removal mask - Honey Lemon Mask For Facial Hair Removal. End of "3 Fragrant Honey Face Masks". Go to "Natural Skin Care"